Kutatóintézetünk nevét Bay Zoltán magyar fizikusról kapta. 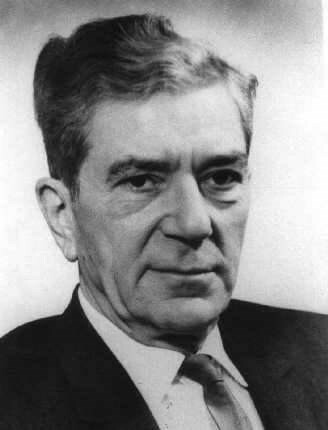 Zoltán BAY was a Hungarian physicist, a member of the Hungarian Academy of Sciences, and was one of the world’s leading scientists and inventors of the 20th century. He is credited with the Hungarian Moonradar experiment, the photoelectron multiplier, and the metric definition based on light speed. He was born in a Reformed pastor family, and he completed his grammar school studies at the Debrecen Reformed College. He studied mathematics and physics at Pázmány Péter University. After finishing his university studies, he was appointed as a lecturer at the Theoretical Physics Institute at the University of PLACE, and in 1926, he obtained his doctoral degree in SUBJECT with the highest honors. His dissertation discussed the molecular theory of magnetooptics of transparent mediaand new developments in atomic physics. Creating the first radar connection with the Moon. Between 1946 and 1948, he was elected as the head of the Department of Mathematics and Natural Sciences at Hungarian Academy of Sciences. Bay had always been interested in astronomy. As a child, he was fascinated by Halley’s comet. During his university years, he built his own telescope, so he could observe Jupiter’s moons, the constellations, and other parts of space. After he learned about microwave radar technology, he believed that he could apply that technique to observing the moon, something that had never been reported in history. He developed a conceptual solution and, on February 6, 1946, could finally declare that the Moon had been detected by radar. Although researchers in the United States had announced similar results one month earlier, it does not reduce the merits of Bay Zoltan and his group, since they did their experiments in war times, under more difficult circumstances, with a narrower financial frame. The historiographers of radar astronomy consider and call Zoltán Bay a parent of the discipline.